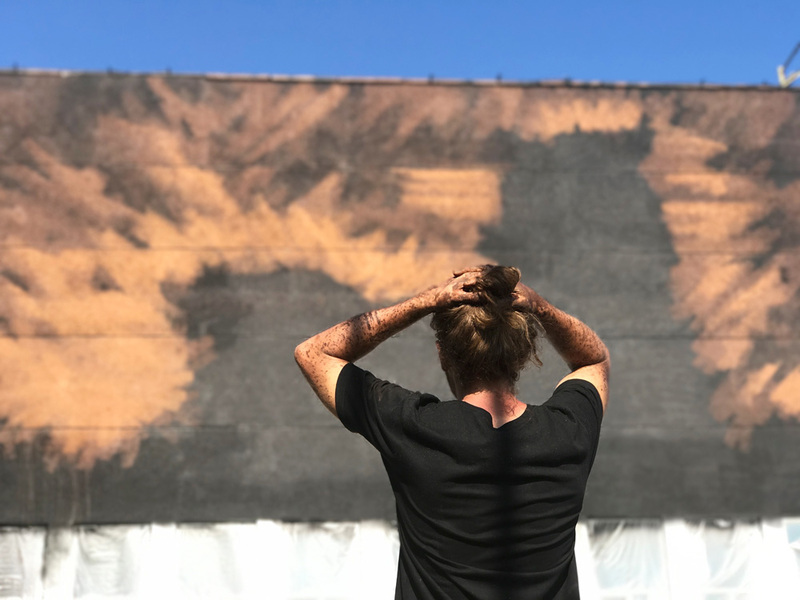 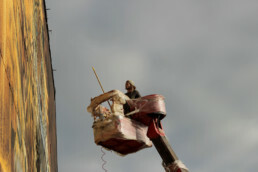 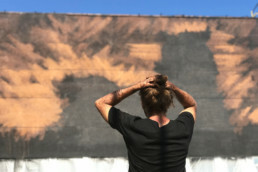 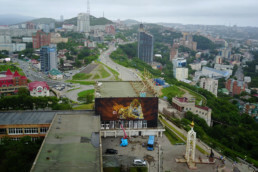 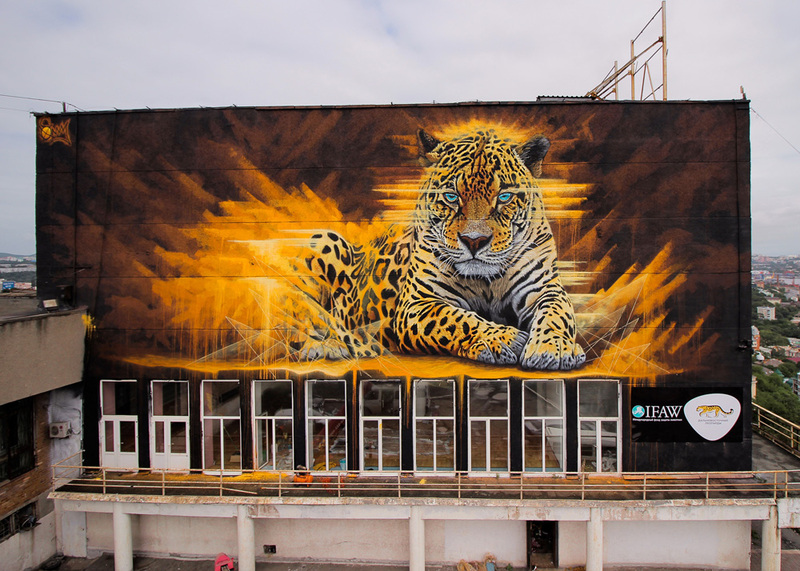 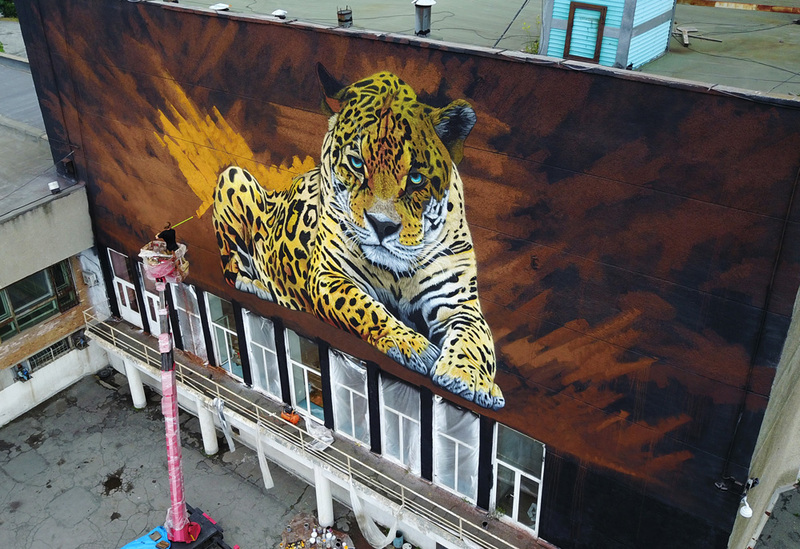 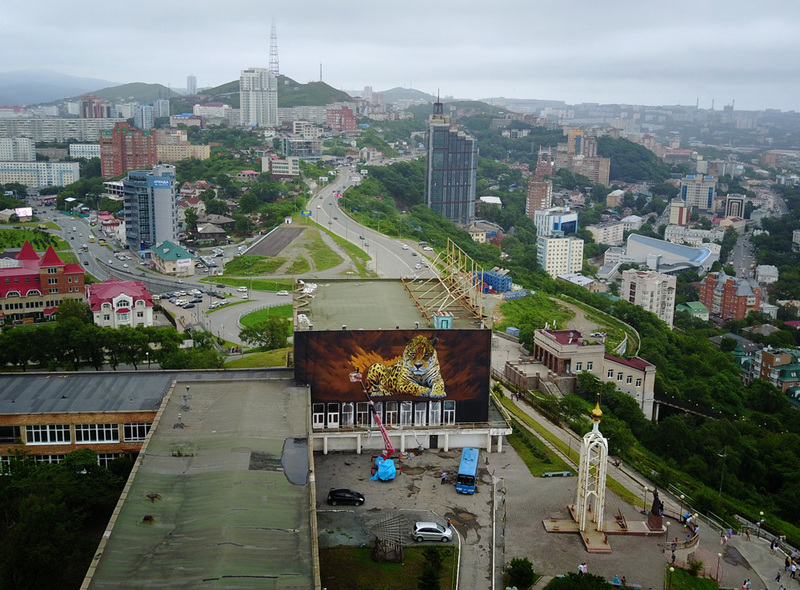 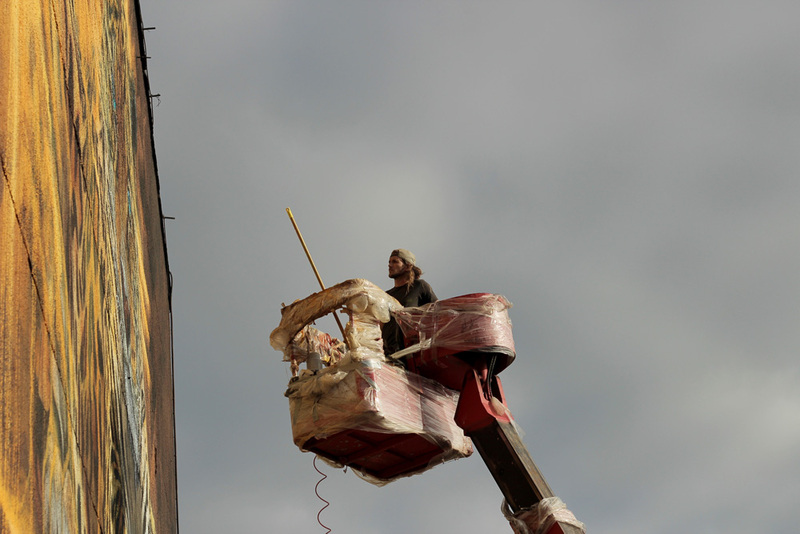 The 4th leg of the To The Bone mural tour saw Sonny painting a huge mural of a Far Eastern Leopard, one of the world’s most endangered big cats, in Vladivostok in the Russian Far East. 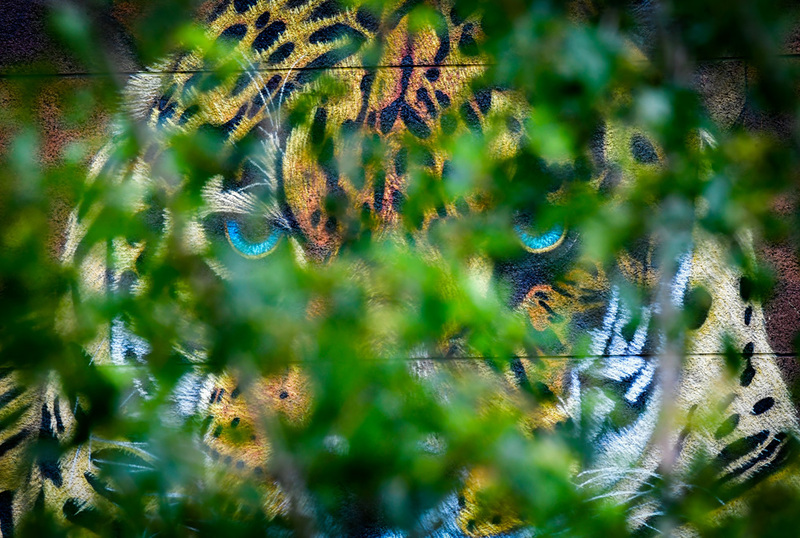 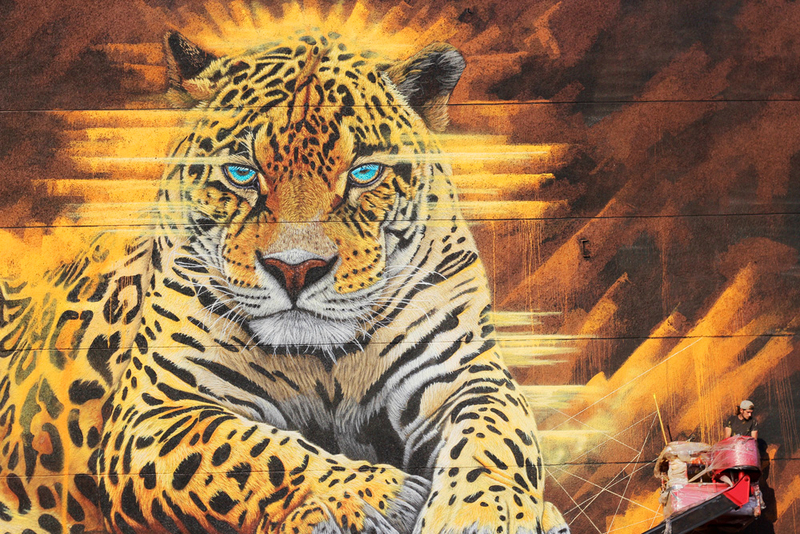 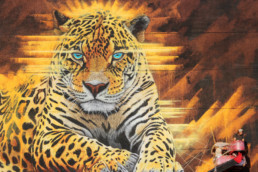 The mural aims to raise awareness for the Amur leopard of which there are only 80 left in the wild, and was supported by IFAW Russia and the Russian NGO, Far Eastern Leopards. 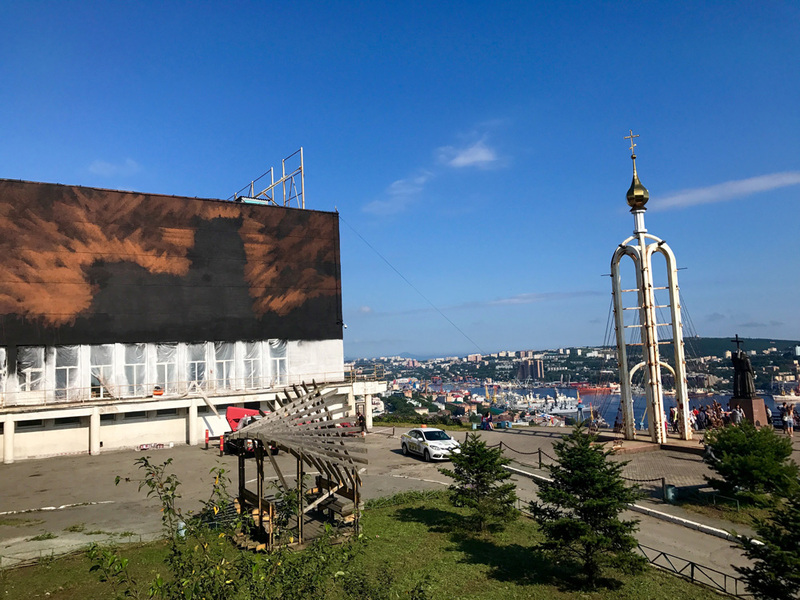 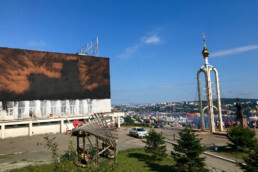 The mural is 250m² in size and is made up of over 200 different shades of colour, and sits high up on a hill looking down over the city of Vladivostok. 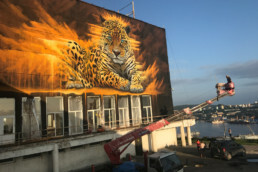 – Tayana Baranovskaya, Director of the National Park Land of the Leopards. 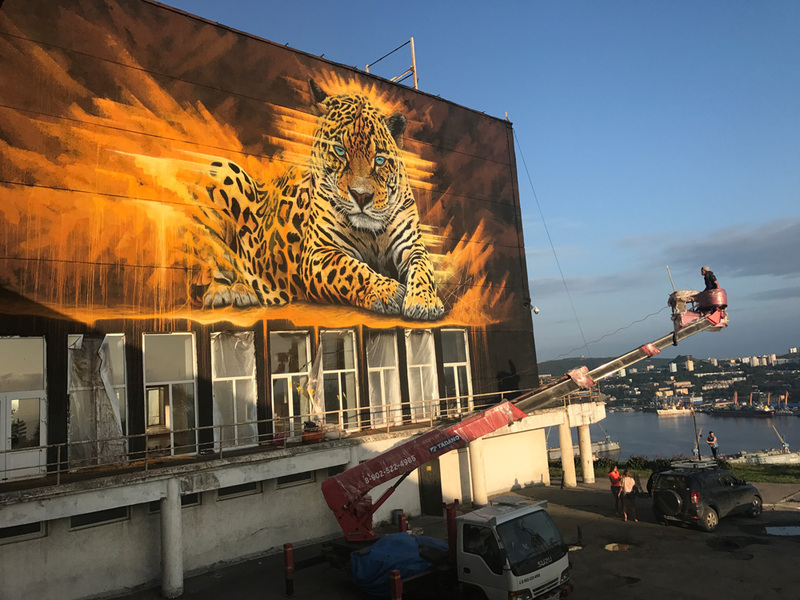 While Sonny was in Russia he was also able to visit the Land of the Leopards’ to see the good work that is being done to protect these rare but beautiful animals.